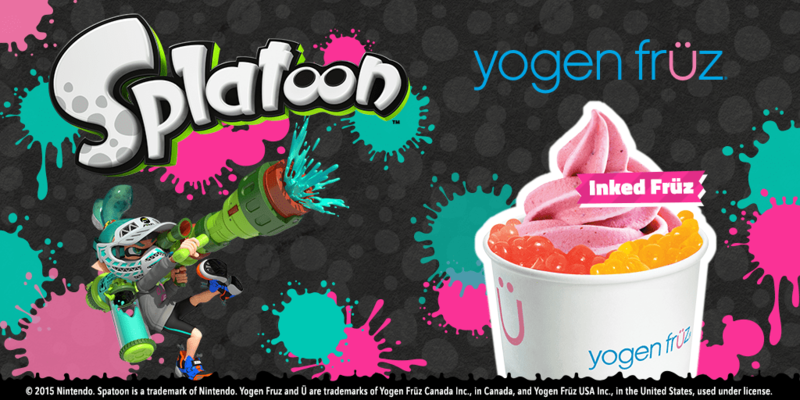 Nintendo of Canada is celebrating the launch of its newest title for Wii U, Splatoon, with the help of Yogurty’s® and Yogen Früz®. 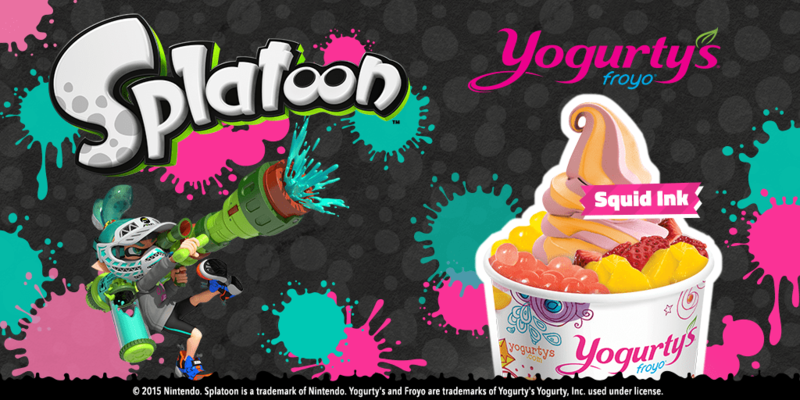 Taking inspiration from Splatoon’s ink-spraying, turf claiming action where players cover territory in bright, colourful ink, Yogurty’s® and Yogen Früz® stores will offer special Splatoon flavours and toppings, contests and prizes, and the opportunity to play Splatoon at select stores! This entry was posted on Wednesday, May 27th, 2015 at 10:13 am and is filed under Action Adventure, Events, Everyone, National News, Platform, Upcoming Releases. You can follow any responses to this entry through the RSS 2.0 feed. You can leave a response, or trackback from your own site.